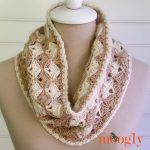 After crocheting the Well Dressed Dog Coat, I had some leftover yarn – just enough to make the Well Dressed Cowl! Gorgeous separates, they make the perfect pair for any pet lover! Disclaimer: This post includes affiliate links; yarn provided by Lion Brand. If you have made (or are going to make!) 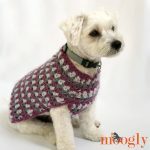 the Well Dressed Dog Coat in Small or Medium, you’ll have just enough yarn left over to make the Well Dressed Cowl! 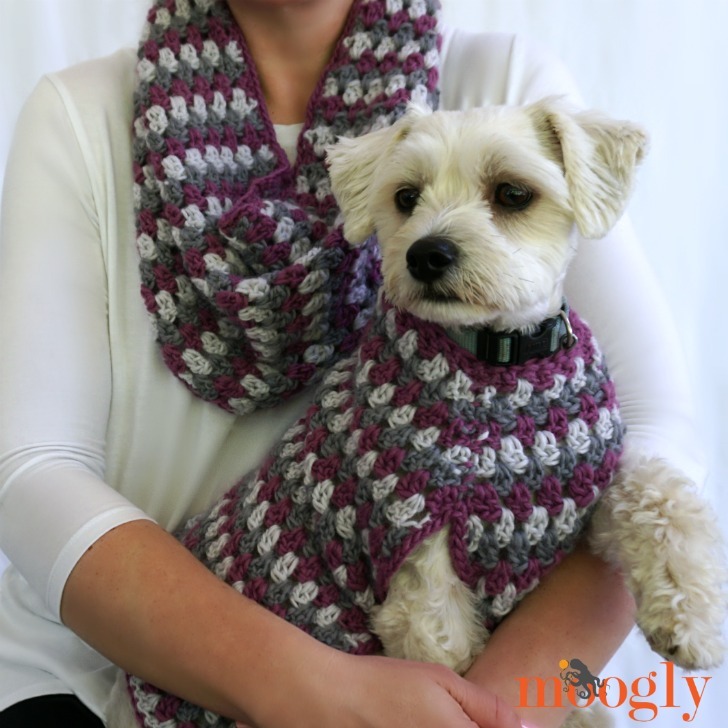 If you have a larger dog (or no dog), or prefer a longer cowl or infinity scarf style, then you’ll want to start with 3 new balls of yarn. 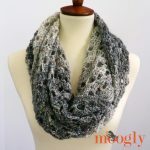 This cowl is soft, cozy, looks great, and is quick to crochet – which is a good thing, because as soon as you wear yours, you’ll start getting requests for more! Switch colors at the end of every row, cycling through colors A, B, and C – see linked tutorial above on Changing Colors if needed. 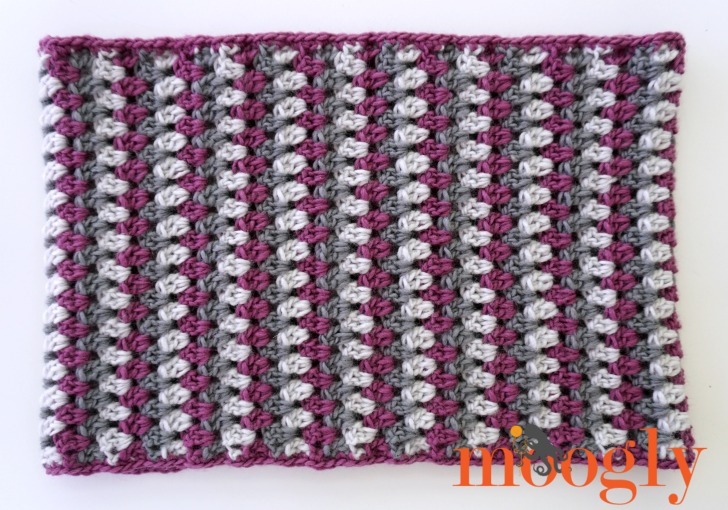 Row 4 – 63 (or to desired length): Repeat Rows 2-3, ending with a Color C row. Assembly: Break Color A and Color B. Break Color C leaving a 20″ tail. 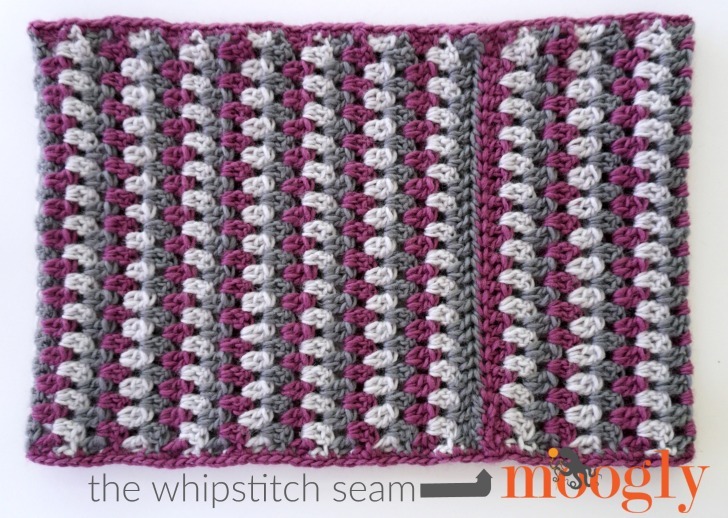 Use this tail to whipstitch last row to Row 1 without twisting. Weave in ends. With Color A, work a sc border around each of the sides aka top/bottom of the cowl. I love the way Lion Brand New Basic 175 looks with these classic stitches – and the way the stitch pattern opens itself up to all sorts of colors schemes. 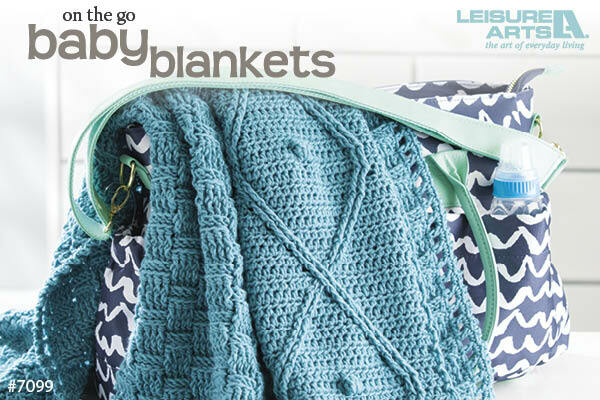 Alone or together, these patterns are easy to make, fun to wear, and wonderful to give. 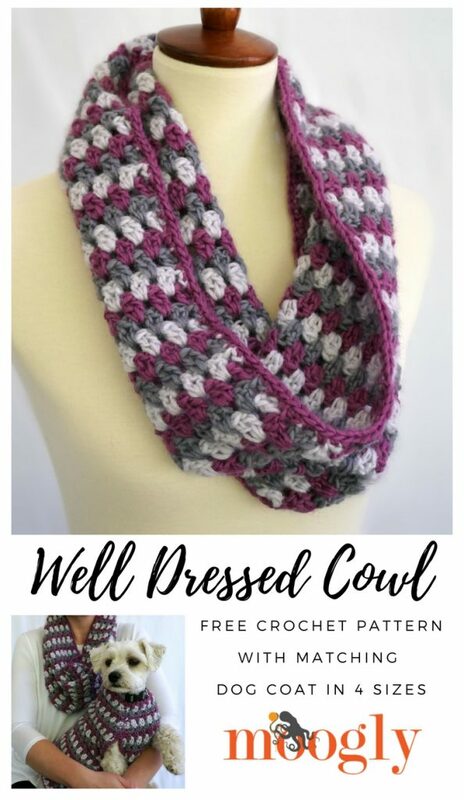 I hope you enjoy the free crochet Well Dressed Cowl pattern! 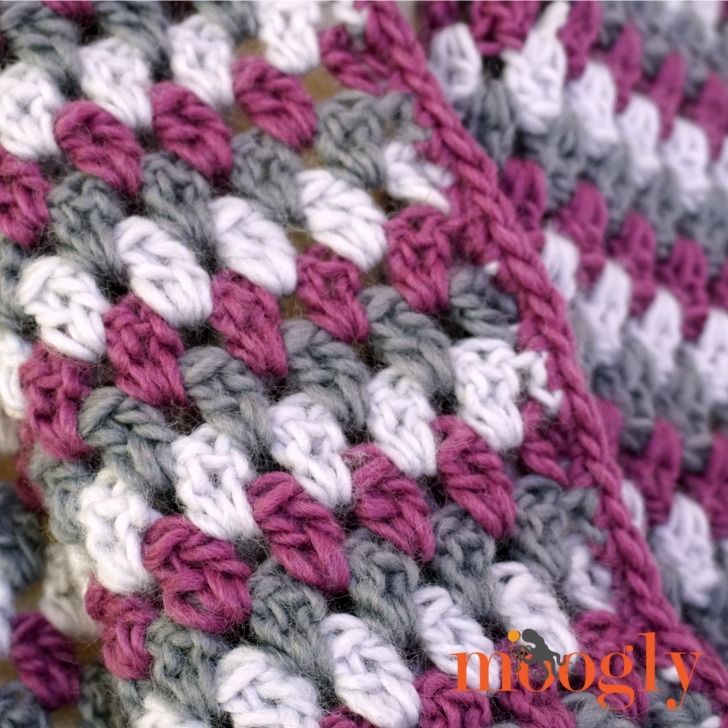 If you make either pattern, I’d love to see a photo – you can share on the Moogly Facebook page, or tag me on Instagram or Twitter @mooglyblog! Written pattern copyright Tamara Kelly 2017, all rights reserved. Please do not reprint or repost this pattern, but please do link to this page to share this pattern with others. To print or download, use the Print Friendly button below, or go to PrintFriendly.com, or right click to copy and paste it into a word processing document if those options do not work for you (please note that Print Friendly is a free outside website that the button links to, and you can click here for a tutorial on how to use it, but I cannot provide additional technical support for this service). If you wish to make items for sale from this pattern or translate it to another language, please visit the About page for details. Thank you to Lion Brand Yarn for providing the yarn for this pattern. I tried to make the well dress dog coat but the increases at the beginning just didn’t happen – can you suggest another way to explain your pattern? I’m sorry to hear you had trouble, would a chart help? Hi there, I have just started crocheting the well dressed dog coat but am finding the instructions confusing.. On row 2 it says 2dc between previous and next stitch – does that mean 2dc in the next stitch after you have skipped two stitches? If so, I only end up with 20 stitches and not 30. Am I supposed to chain one after each 2dc? It doesn’t say so. Any help would be appreciated. I am not new to crocheting but am following the instructions as stated. Hi Pam! You crochet between the posts themselves – as if there was a ch 1 sp there to crochet into, though there is not. Does that make sense? When you dc into the last st, is that the top of the chain 3, or the stitch before the chain 3? I’m easily confused because some pattern authors consider the chain as the last stitch in a row and others don’t count it. When you dc in the last st, is that the top of the chain 3, or the last dc? also, did you do a sc border on the long sides?